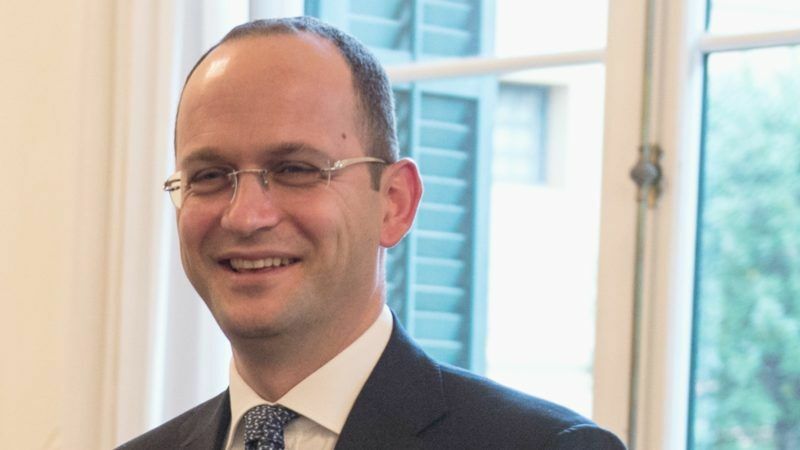 Ditmir Bushati has served as Albania’s foreign minister since September 2013. He previously chaired the Parliamentary Committee for European Integration. He spoke to EURACTIV Senior Editor Georgi Gotev. Can you update us about the political situation in Albania? Last time we reported that the opposition is boycotting parliament, asking for a technocrat government to set the stage for free elections. It was believed that the opposition boycott of parliament will effectively stall the creation of bodies that would vet 750 judges and prosecutors, a stepping stone to creating an independent and clean judiciary able to fight corruption. The so-called political crisis is an artificial crisis. You referred to parliamentary boycott by the opposition. This is not something new for the political life across the Balkans, I would say, even across the Mediterranean. Last July, we approved by unanimous vote the constitutional changes that allow smooth implementation of justice reform. And we have put a parity condition, according to which the most important pieces of reforms are based on this political parity. The way in which these new bodies have to be established needs to be decided based on political party in the parliament. And this was one of the conditions of the opposition at that time, which has been confirmed by us, although we had a different opinion at the time. Now that everything has been passed in the parliament, we are being faced with the boycott of the opposition. In front of us we have two options. The first is to go ahead with the implementation of what we have agreed, together with the opposition, in order to proceed not only with the reform process but also with the EU accession agenda of Albania. As you know, last November the Commission recommended opening accession talks, provided that Albania would implement the vetting law. This has been fully endorsed by the member states. This is the option we have right now or to run after the opposition. I think we’ll go for the first option, we will ensure the implementation of justice reform, which has gained a lot of popularity among our citizens, more than 93% of our citizens are in favour of this reform, and we will ensure in this way also the commitment undertaken in the framework of the EU accession process. Of course, we also had OSCE-ODIHR missions in Albania. 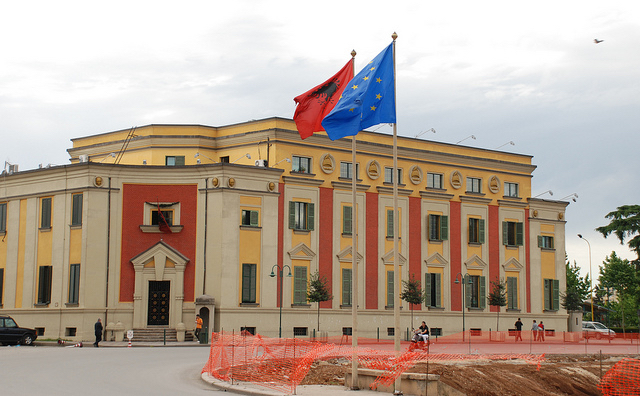 ODIHR provided Albania with a list of conditions that need to be addressed before the elections, which regard better relations between politics and media, as well as election management. We will implement those recommendations, and there will be of course monitors, and OSCE-ODIHR will provide a detailed assessment of the elections. There are some constitutional deadlines regarding the elections, and they have always been respected. It’s not up to us or to external forces to extend the current mandate. It’s quite a paradox that the opposition was asking for early elections before, like everywhere in the world, but now that we are approaching elections, the opposition is asking for a delay. You mentioned that Albania is not the only country where the opposition boycotts parliament. Currently the opposition in Montenegro is doing that, while in Macedonia the conflict between the two major parties doesn’t allow the formation of a government. Why is this happening? 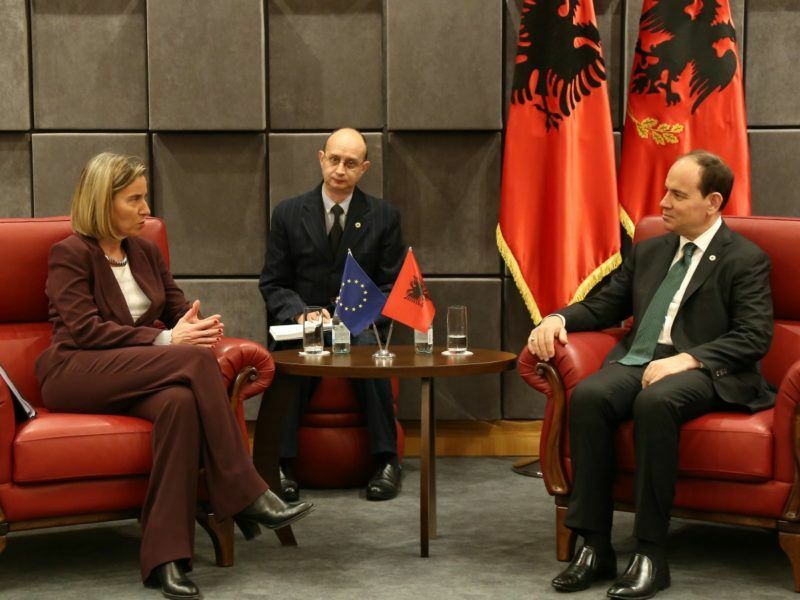 Why in several countries of the Western Balkans are the political processes stalled, at the same time too? It is related to the demands of the EU accession process, which also have to do with the modernisation of the institutions, with the fight against corruption, organised crime and the reform of the judiciary. Nowadays in the Balkans, we have different alliances. Ten-fifteen years ago there were alliances based on ethnicity, now it seems there are alliances against tribunals. We have a network of tribunals that are about to be established in our neighbourhood, a special prosecutor in Macedonia, and you know that the work of the special prosecutor there has been hindered by the political establishment. 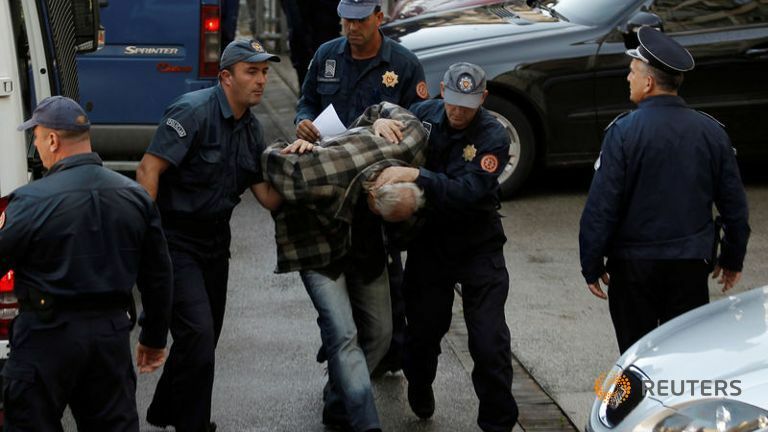 There is a special prosecutor in Montenegro, there is a special court in Kosovo and also a special prosecutor, and also a vetting process for all judges and prosecutors in Albania, which is quite unprecedented. And there is political resistance to these developments, because they may be accompanied by the re-shuffle of the public scene in the Western Balkans. This is partly due to the accession process, and partly due to external interferences and influences. There are third factors that are quite assertive in our neighbourhood and they do have disruptive effect for the reform process. Macedonia needs to rise above political feuding and form a government as soon as possible to unblock the Balkan country’s path to European Union membership, the EU said yesterday (21 March). One part is the resistance to maintaining the status quo. You asked me about Montenegro. We’ve seen there an assertive Russia, an attempted coup that involved segments from the Russian Federation and segments from Serbia. And then we’ve seen a campaign against Montenegro joining NATO. Political groups in the country, media outlets and even the Orthodox Church were involved into this campaign. But the ethnic component should not be underestimated. The so-called Tirana platform for Macedonia appears to be a major problem for your neighbouring country. It is seen, at least by VMRO-DPMNE, as interference in internal affairs. Albania was one of the first countries to recognise Macedonia. We were one of the few countries of the neighbourhood who never questioned the territorial integrity of Macedonia, we never questioned the identity and language of Macedonia. One third of the population that is living in Macedonia that is Albanian has been always pro-European and pro-Atlantist. 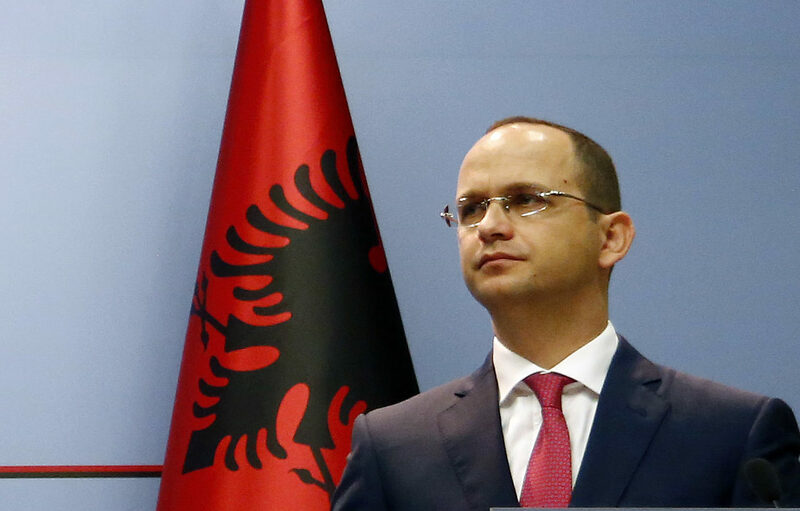 Probably it will be very difficult to find a friendlier neighbour than Albania to Macedonia. Right now there is a deep crisis of democracy in Macedonia. And there are tendencies by Gruevski and his political group to transform this democratic crisis into an inter-ethnic crisis. There is no Tirana platform, there is a document that has been written by three out of four Albanian political parties that are present in the incumbent parliament in Macedonia which we have supported, because we see in this document a clear effort by Albanians first to keep Macedonia united, second to seek a better inter-ethnic harmony in the spirit of the Ohrid agreement, third to implement the Przino agreement, fourth to unblock Macedonia’s path toward NATO and the EU by normalising relations with Greece, with Bulgaria and of course with Albania and Kosovo as Macedonia neighbours. But the most important element of the Tirana platform is to make Albanian an official language of Macedonia. This according to critics amounts to changing the constitutional order. Macedonia is not a federation after all. I don’t know how this argument, having Albanian as an official language, is equal to the federalisation of the country. 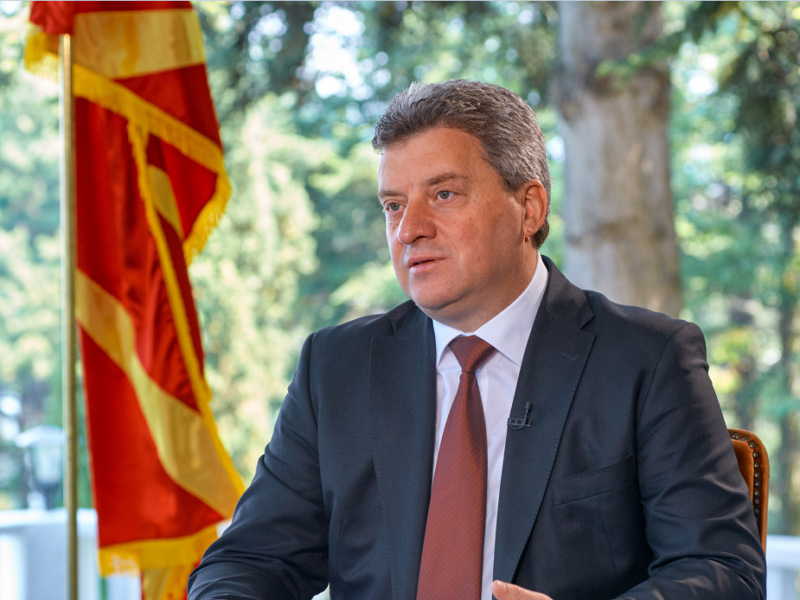 But if one refers to the Ohrid agreement and to the source of disputes between Macedonians and Albanians in Macedonia, it is clear that the implementation of commitments under this agreement has been rather low. There has also been a tendency by Gruevski and others to consider Albanians as seasonal workers in their own land. And there is no serious effort to ensure inter-ethnic harmony in the country. Over the last five to six years, the society has been more divided along ethnic lines. And I believe that by involving the so-called Albanian platform into the constitution, and into the new legal framework of the country, there will be more positive results for both ethnic groups living in Macedonia, or the main ethnic groups – Macedonians and Albanians. You said Gruevski was treating Albanians as seasonal workers, what do you mean by that? If one reads his statements this is quite clear, that he gives more attention to the creation of jobs, which has not been the case, unfortunately, than to the creation of a conducive environment for better inter-ethnic harmony and for harmonious economic development of the country. 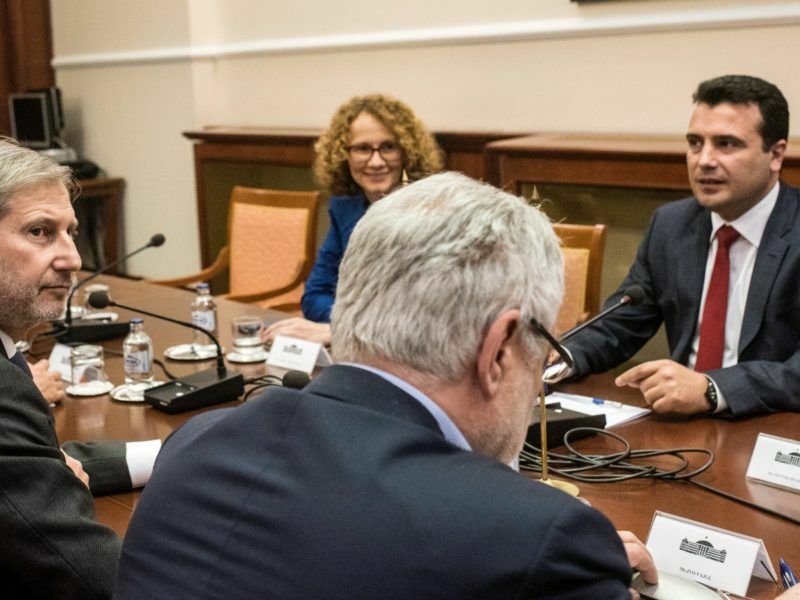 If you travel to Macedonia, you will immediately pick up on the differences and the gap that exists between communities, which needs to be bridged. The way in which investments have been made, the way resources and wealth have been distributed, the way ethnic groups have been represented in public life – all this needs to be adjusted in a gradual manner. I made a clear difference between the crisis of democracy and the tendencies to transform it into an inter-ethnic crisis. If you invite people in the streets to chant against Albanians, to chant against the US, to chat against EU and NATO, if you invite people in the street to chant against the identity of Albanians living in Macedonia, you will reach the same conclusions. Where do you see paternalism here? First they need to bring more political soul to this process, which is becoming more procedural, because you have more interim steps and more benchmarks. And second, they need to take into account the new geo-strategic environment in the region. We discussed Macedonia but the same is true for Albania, Serbia, Montenegro. By anchoring the Western Balkans into European waters, it is possible to increase the leverage of European Union on our internal developments and internal dynamics. There is some backtracking in the neighbourhood, and precisely in those countries which the EU was less successful in anchoring them into European waters. 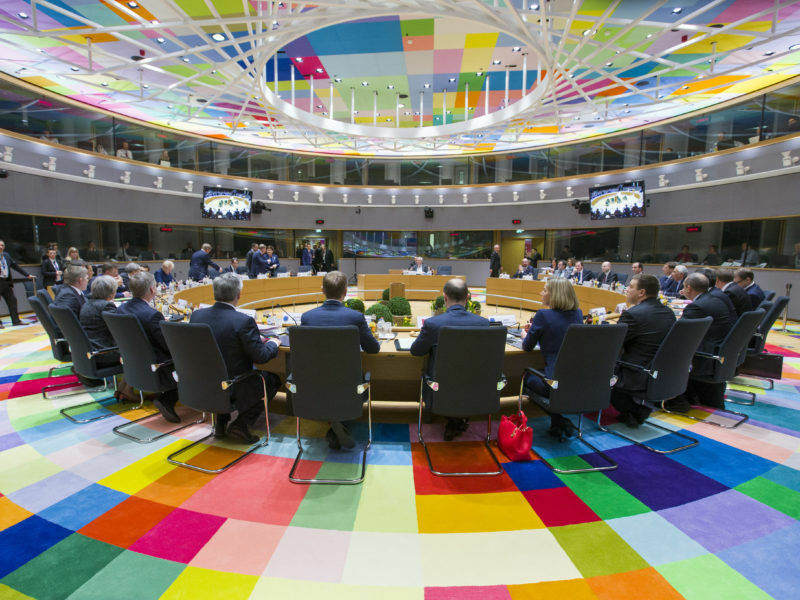 EU leaders voiced concern yesterday (9 March) about “external influences” fueling division in the western Balkans, as Britain announced a summit to focus efforts on stabilising a key region vulnerable to Russian meddling. Third, we need more investments and bridge the economic gap between the Western Balkans and other Central and Eastern European countries that joined in 2004. I’m not speaking about the average of the EU. But the Central and Eastern European countries were eligible to apply for structural funds well before their accession, which is not the case for the Western Balkans. We are talking about six countries with a total of 22-23 million people, so it’s less than Romania in terms of population, and should not be a burden for the EU. And last but not least, we need consolidation of the European project, because in the context of the migration crisis and the terrorist attacks, the Western Balkans acted as security providers to the EU. And it would have been fair [for the leaders of the Western Balkan countries] to sit around the table when the EU was celebrating the 60th anniversary of the Treaty of Rome. This was the case on the 50th anniversary but 10 years later, we are in a different strategic environment and the candidates are not around the table. It’s a little bit strange.